Winter Goddess Foods: Refreshed and ready to go! Blessings to you, our wonderful followers! After a much needed and relaxing rest with family and friends in Florida, Terry and I have returned to the Land of 10,000 (frozen!) Lakes, and have resumed operations for Winter Goddess Foods. 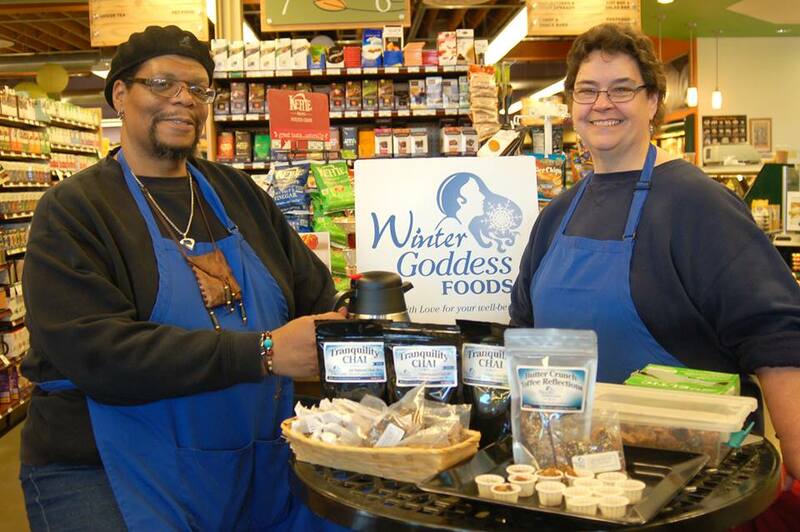 2013 was a banner year for our company, thanks to our partnerships with several new wholesale partners, our acceptance into two new Farmers Markets, increased visibility within the Twin Cities area, and of course, massive blessings from The Great Spirit who provided us with new and more profitable opportunities seemingly from out of nowhere. Finally we would never be enjoying such great success without you, our loyal fans! We are humbled that you enjoy our wonderful organic products, and have allowed us to earn your trust with each purchase. Thank you from the bottom of our hearts! During our respite, we have put our pointed little heads together and have come up with a number of plans to "up our game," including the addition of two new "comfort snack" items to add to our current line of products. We have already tasted and test marketed an all natural mixed nut product, and a new granola made without nuts, in both Minnesota and in Florida, and have received all positive comments regarding their taste and quality. With such a high endorsement, we have decided to move forward and make them available for sale. The new items will be unveiled in Spring 2014, and we are very excited about them. Keep an eye on this site for more information. As always, we will continue to share our thoughts on better living, as well as provide you with plenty of information on better food choices, organic eating, sustainability, and other subjects near and dear to our hearts. Thank you so much for sharing the journey with us! Remember to make this day, your BEST day! Natural vs Organic - The gloves come off!